The Church of Ireland’s first ever woman bishop has said she is “delighted to have been asked to become Bishop of Meath and Kildare” though she realises her gender may be an issue for some people. Bishop-elect Pat Storey (53) told CatholicIreland.net on Friday that her priority in her new role would be to do a lot of listening. Revd Storey is married to Rev Earl Storey, who is also a Church of Ireland clergyman, and they have two adult children, Carolyn (25) and Luke (22). 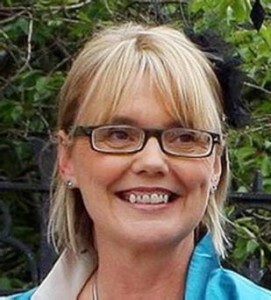 She is currently Rector of St Augustine’s Parish in Derry. She succeeds the Church of Ireland Primate, Archbishop Richard Clarke of Armagh, in Meath and Kildare. Bishop-elect Storey is the first woman appointed to an Episcopal role since the Church of Ireland General Synod voted in 1990 to open up the priesthood and episcopate to women, ahead of the Church of England, which still has no women bishops. “To be appointed Bishop is amazing and to be the Church of Ireland’s first woman Bishop is equally amazing,” she said. The House of Bishops of the Church of Ireland met on Thursday in Dublin and appointed the Rev Storey to succeed the Most Revd Dr Richard Clarke, who is now Archbishop of Armagh. The appointment of the new bishop had passed to the House of Bishops as the Episcopal Electoral College which met on 28 May failed to appoint a Bishop for Meath and Kildare dioceses. Rev Storey is a former Weightwatchers Leader and Assistant PR officer and her interests include her golden retriever Rudi, as well as swimming, reading and creative writing. Bishop-elect Story grew up in East Belfast and studied French and English at Trinity College, Dublin. She trained at the Church of Ireland Theological College and was ordained a priest in 1998. She has served in Ballymena and was a vicar in Glenavy as well as a part-time Youth Worker Co-ordinator with the Church of Ireland Youth Department. The Most Revd Dr Michael Jackson, Archbishop of Dublin, welcomed the news. In a statement, he said the election of Rev Storey would bring delight to many across the Church of Ireland and throughout the Anglican Communion. He paid tribute to her “effective” ministry in Derry, her warmth, deep personal faith and “natural ability to relate to people” which had enabled her to make a significant impact throughout the city. The appointment of Bishop-elect Story follows the decision by Archdeacon Leslie Stevenson to decline the role following his selection last January. His decision followed revelations last February of an affair in the 1990s with a parishioner while rector at Donaghadee, Co Down.